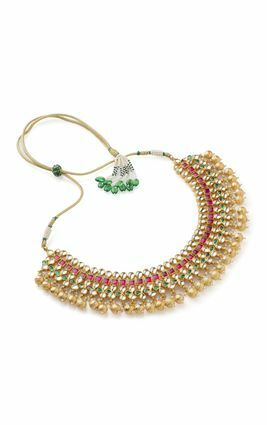 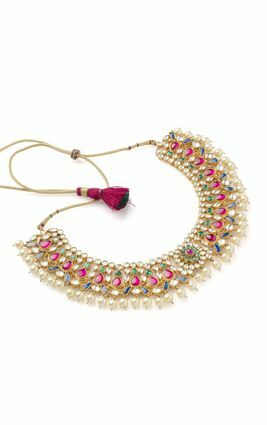 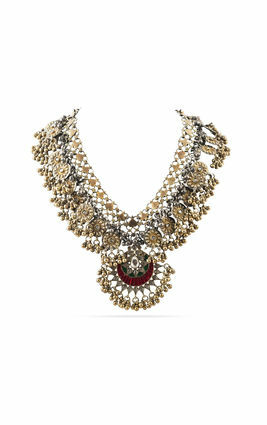 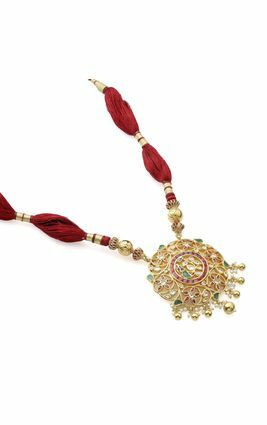 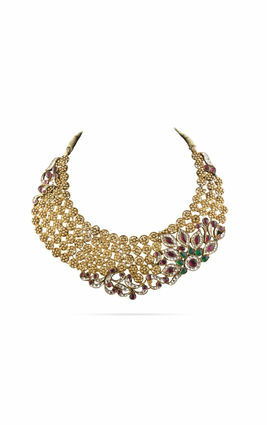 A circular border of tiny white pearls shimmer delicately as they surround a gold polished silver ring encrusted with deep red, green, and white kundan stones, in a leaf and flower pattern. 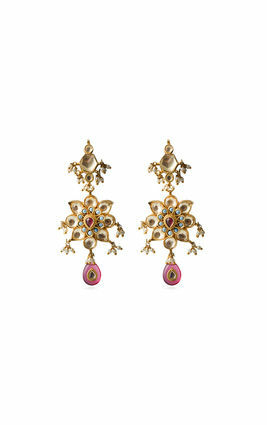 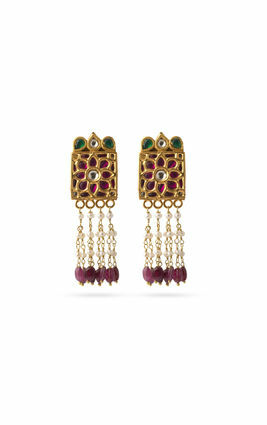 This Jodha ring is reminiscent of medieval India and all its charm. 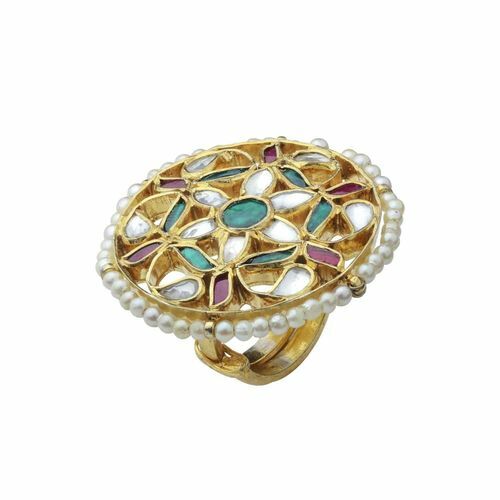 A circular border of tiny white pearls shimmer delicately as they surround a gold polished silver ring encrusted with deep red, green, and white kundan stones, in a leaf and flower pattern. 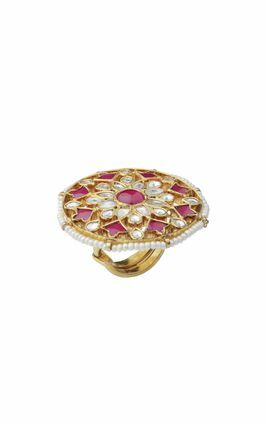 This Jodha ring is reminiscent of medieval India and all its charm.